So, remember when i was frantically browsing around for a pair (or two) of falls boots to set my sights on? 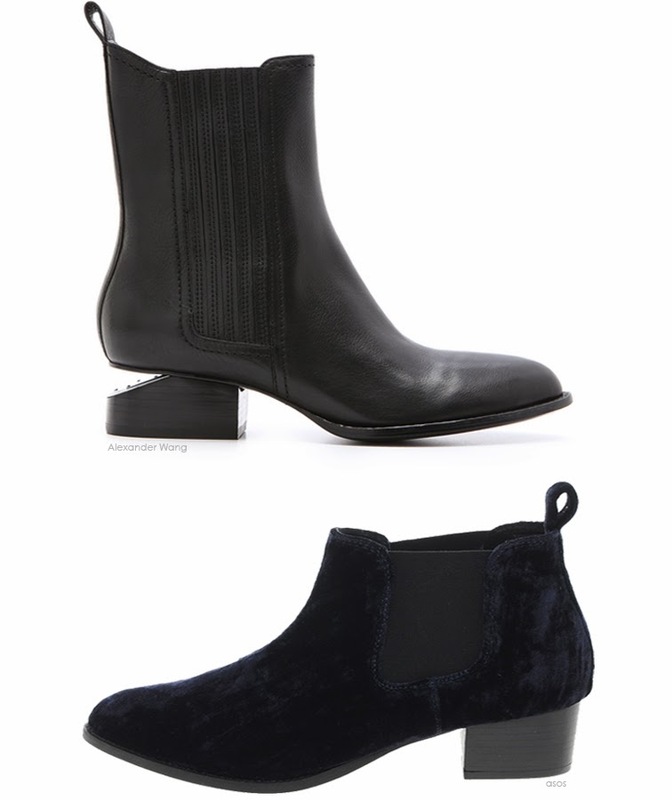 Well, I am happy to report that the two that eventually won me over are on opposite ends of the price spectrum and I am particularly pleased because this is a prime exhibit of the hi-lo dance I very often enjoy taking part in: the Alexander Wang Anouck boots (hi) and the ASOS navy velvet chelsea boots (lo -- plus they're now on sale, so click to get them while you can!). Maybe you're thinking that they have similar vibes, but if you really ponder the issue, you'll realize that they're worlds apart stylistically; the Wangs border more on classic and are more sleek, fully encompassing that clean, minimalist sensibility i find so aspirational, yet they still maintain a soulful edge... Meanwhile, the ASOS pair has more of a rock 'n roll attitude and the deep navy hue spoke to me, not to mention that I've always had a (very) soft spot for velvet footwear. 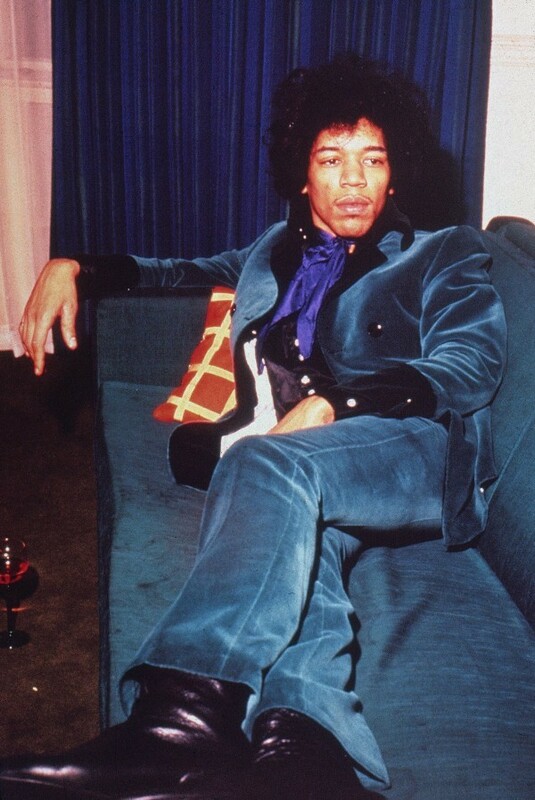 I blame Jimi for my love of velour, but I'll save that story for a rainy day. Thoughts? Also, did you invest on a pair of boots this fall? I'd love to hear your boot story! Shop: Alexander Wang HERE, HERE or HERE, ASOS HERE. Hi Hélène how are you! Long time since I've left a comment :) I've been on the hunt for the perfect boots too and I just found (and ordered) them: Haven booties by Michael Kors (you should check them out), I'm in love :) Nothing like some internet shopping on a rainy sunday afternoon :) Enjoy your weekend!! J'adore les bottines Alexander Wang, elles sont tops, très originales, leur style est juste sublime! the low booties are my fave!